Given to the Lot department by the descendants of the comtes Murat (the branch derived from the Marshal's brother), the house in which that proud cavalier, but also 'grand amiral', grand-duc de Berg and King of Naples was born, is open to the public, offering to visitors a pleasant collection of paintings, engravings and other items. 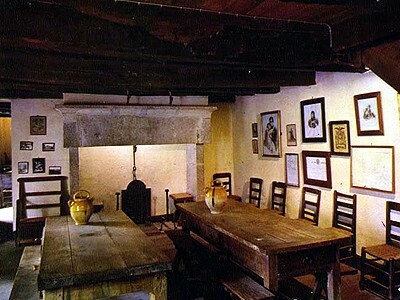 Born in 1767 in Labastide-Fortunière, Joachim Murat was the son of the village inn keeper. His extraordinary rise from rags to riches is the example of what opportunities the Revolution gave to men of purpose and courage. It was of course Murat's military qualities which brought about his success, although this was undoubtedly accelerated by his early meeting with Bonaparte, in 1795. From then on, he never left the future emperor's side, becoming his brother-in-law in 1802, when he married Caroline. Hero in Egypt and key figure in the Brumaire coup, Murat was to excel most often at the head of the cavalry in all the campaigns of the Empire. He was made Maréchal in the first wave of promotions in May 1804. But Murat was also a politician, a role much less well-known and still being uncovered – indeed his reputation suffered greatly because the negative treatment he received in Las Cases' Mémorial de Sainte-Hélène. Grand-duc de Berg and subsequently king of Naples, he tried unsuccessfully to retain his throne after Napoleon's first abdication. After his own attempted 'return from Elba', he was beaten at the Battle of Tolentino, arrested and shot, on the orders of the Bourbon-Sicile family, on 13 October, 1815, at Pizzo (Calabria). 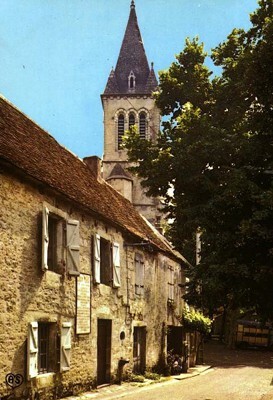 Labastide-Murat has not changed since the beginning of the 19th century. And the family too has been in permanent residence ever since the first Comte Murat, brother of the Maréchal, moved there, benefitting from the largesse of the King of Naples. The Comte's descendants built a château – in which they still live – and the Second Empire interior decoration and parkland are today classed as historic monuments. For the whole of the 19th and the beginning of the 20th centuries, a Murat has been on the list of Députés in the Département of the Lot. The Comtes Murat gave the house in which Murat was born and that belonging to his mother and the first Comte to the Département of the Lot and to the commune. A museum was founded in Murat's house in 1959. The Murat museum is a treasure trove of Murat memorabilia, some coming from members of the family and others coming from the acquisitions policy of the Friends of the Murat Museum (Amis du musée Murat), of which Jean Tulard was president between 1988 and 2002. Only the public room of his father's inn has been modified, to accommodate the entrance desk. The rooms upstairs are all as Murat would have known them. The collection comprises historical memorabilia, including several items of uniform (notably, some remarkable gloves) worn by Murat at Eylau. Other objects include paintings, engravings, documents and photographs. T.L. trans. P.H. The association welcomes members and once a year publishes a fascinating journal (articles by J. Tulard, J. Jourquin, T. Lentz, A. Pillepich, etc…). For further information: Association des Amis du Musée Murat, rue Joachim Murat, 46240 Labastide-Murat. – Cole (Hubert), The Betrayers: Joachim and Caroline Murat, London, 1972. – Jourquin (Jacques), Dictionnaire des maréchaux du Premier Empire, Jas Editions, 5th ed., 2002. – Lacour-Gayet (Michel), Joachim et Caroline Murat, Perrin, 1996. – Tulard (Jean), Murat, Fayard, 1999. From the N 20, take the D 677. From the motorway A 20, take exit 56, marked Labastide. Also in Labastide, don't forget to visit the church (the vault of the Comtes Murat is on the left as you enter) and to take a look at the presbytery, once the house of Jeanne, the marshal's mother, who died in 1806. Open from 1 July to 30 September from 10am to Midday and from 3 to 6pm. Guided tours for groups all year round, by appointment only.